Trademark red line means quality! 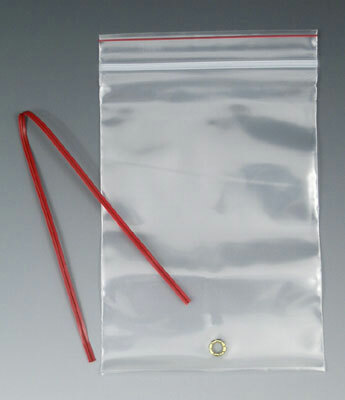 Premium polyethylene bags with uniform wall thickness. Zipper allows for quick, easy closure. Reinforced brass eyelet at bottom of bag. 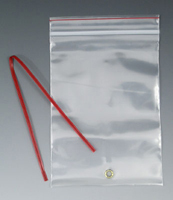 12" plastic twist ties included (not inserted). Meets FDA and USDA specifications for food contact. Call us for details on custom printing and preinserted ties. Packing list tie-on envelopes available.